You are going to be AMAZED by this sweet contemporary home just steps away from the Swift Creek Reservoir. 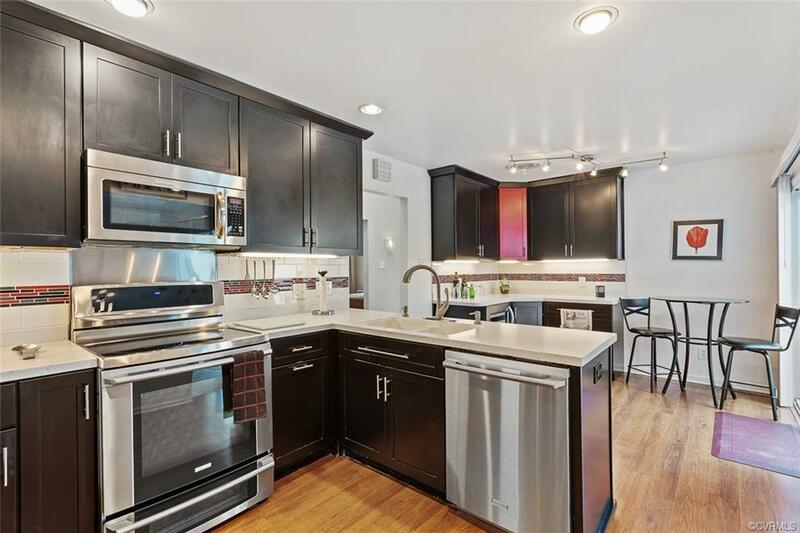 Step inside into the completely remodeled kitchen featuring new flooring, cabinets, countertops, and sleek stainless steel appliances that are a cooks dream. And for entertaining the built in wine cooler is at your fingertips for all those chilled beverages. Inside the large living room you will find a cozy fireplace and high vaulted ceilings with sky lights overlooking the large outdoor space that is perfect for nights by a fire pit or outside dining. Step into the Master bedroom for a little oasis all your own featuring a completely renovated bathroom with a large tiled shower and a double vanity. Plenty of closet space too! The home has two nice bedrooms connected by a nicely redone Jack and Jill bathroom. Step outside and enjoy two patios with great outdoor entertaining space! The store lovers will rejoice with THREE attached storage closets! This home has so much space and for the outdoor enthusiast the Swift Creek Reservoir has lots to offer! Nestled in the heart of Brandermill and conveniently located to shopping, restaurants, & Route 288! Directions: From 360 W Take R Onto Old Hundred Rd. Then Take L Onto Millridge Pkwy. Turn L Onto Winterberry Ridge. Turn R Onto McTyres Cove Rd. Turn L Onto McTyres Cove Lane. Home Is On Your L.